so sorry to hear about your sister. When younger siblings go on ahead of us, it can come as a shock realising our own mortality. Mike I hope you feel better soon and thank you to Chris for sharing your Hadrians Wall trip bringing back lovely memories for me. Hi Brenda, thank you for your kind comments. Yes, losing someone close certainly makes you stop and think, and realise how short life can be. 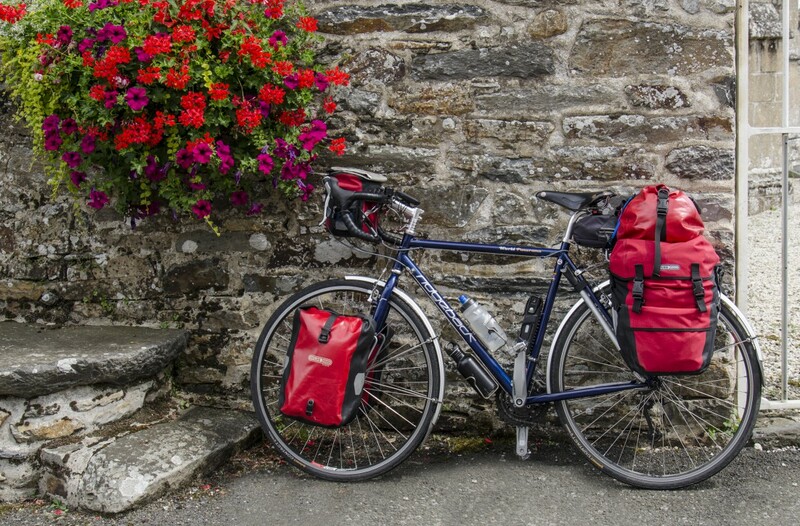 Enjoy your cycling and camping, and we hope to meet up again – perhaps at next year’s Cycle Touring Festival. I’m really sorry to read of you sad news. I’m glad that you managed a tour – I know how much being ‘out there’ means to you both and being on the road can be a wonderful time for reflexion and pondering life’s greatest challenges as well as wondering where the next bottle of milk is coming from! I did the Hadrians Wall ride a few years ago (Ravenglass to Newcastle) – I agree its a lovely ride and a real eye opener – the Romans conquered half the world in sandals and skirts – Imagine how good they would have been in Brashers and goretex! Good luck with next years expeditions – may the wind be at your back and the road downhill! Thanks for your kind comments. Yes, being on the road is great for the mind and can be exhausting for the old body (! ), but is wonderful nonetheless. I don’t know how we managed without our supplier of milk 😉 – we’ve had to resort to milk in a squeezy tube from Tescos!! It certainly is a lovely ride, and we would love to return to that area for further exploration. Could do with being permanently retired to find the time to fulfil all our plans! Hope you are both well – and not forgetting Gnasher, too! May you and your bike find what you’re looking for.. Thanks for your posts!